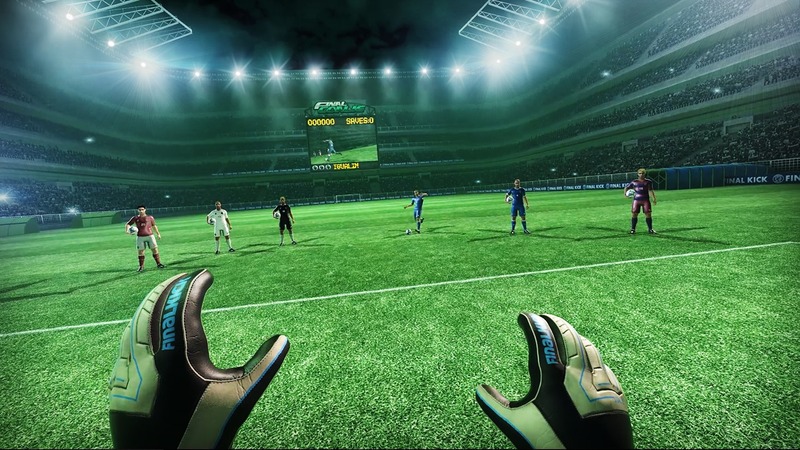 Final Goalie puts you in the shoes of a football/Soccer goalie against a bombardment of balls until you have been scored on three times. Barcelona developers Ivanovich Games have created a game that is sure to appeal to soccer fans and all Vive owners alike. This is a perfect game for playing and sharing with others because it’s short and sweet, just make sure you have enough space to enjoy it properly! A noteworthy feature in the game allows you to adjust your height and the speed you move left or right. I didn’t really see the point of this until I hit the ceiling with my controller in the first five minutes of playing as I jumped for a ball just out of my (virtual) reach. I will note that while visuals served their purpose, they also didn’t stand out in any real way. They did the job, but didn’t really impress me that much, but more than likely you’ll be to focused on the incoming balls flying at your face anyways. The one thing that really stands out for me with Final Goalie is the level of gameplay polish. Everything is very tight and well made and the immersion you feel while playing is what Virtual Reality games should be all about. I actually winced a few times when the ball was flying right towards my face and then laughed about it after nothing hit me. My biggest peeve would have to be the audio as I heard some frequently repeating minor sounds when the crowds cheered. Again, I’m not coordinated so I had a bit of a trouble playing the simulation mode, which is where you begin. You face six players in a penalty box shootout style. The curve they sometimes put on the ball almost makes it impossible to stop. I can imagine this game could actually help a real goal tender improve their skills. Arcade mode is my favourite. Instead of players kicking the balls at you, there are cannons. It was chaos, and I loved it! The available power ups add an extra sprinkle of fun and are needed when you start having to block multiple shots at once. I really liked that you had to grab a ball and throw it at a target to gain a power up. The power ups where time slowed down and the soccer balls turned to beach balls are both tied as my favourites. Campaign mode and multiplayer mode are also included in this game but in my opinion were added to justify the price. Campaign consists of short stages requiring simple tasks like ‘Block 5 Shots’ or ‘Catch 3 shots. If you love the game than you may enjoy these tasks, but they just came off as fluff to me. Multiplayer on the other hand is cool, but limited concept. It’s local with other players besides yourself downloading the Final Goalie app for their phone. 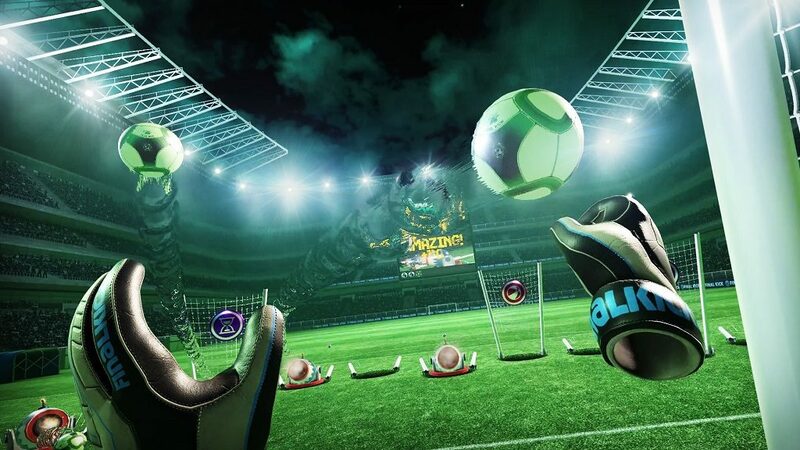 Mobile users take a penalty shot by flicking the ball at the net while the Vive user tries to block it. It’s a neat little inclusion, but ultimately comes off more as a cool concept than full multiplayer experience, but the effort is appreciated none the less. I had an absolute blast with this game and I would definitely recommend this for any Vive player, it’s a lot of fun. There are, however a lot of extras that I think most people won’t really play to long, namely campaign and multiplayer. I’m sure the devs think all of their content has value, but I had way more fun on Arcade than anything else and the campaign objectives just kind of bored me. If you can get this game on sale then you should do it. It’s still a great show piece to any VR library. What would I pay? $7US is as high as I would go, but admittedly I was bored by much of the content. If you are a fan of soccer than I could see justifying closer to $14 but the full price just seems a little high. 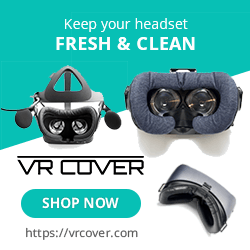 Ivanovich Games provided theVRgrid with a review copy of the game and, regardless of our score, we thank them for that!